Posted bymacrofour	 February 12, 2017 February 12, 2017 Leave a comment on Is a Very Low Carb Ketogenic Diet (VLCKD) Safe? If you are reading these posts, you will remember that we started this journey because we saw a media release that seemed odd. The Dietitian’s Association of Australia (DAA) recommended that ladies with Poly Cystic Ovarian Syndrome should eat more ‘grainy bread’. We found that advice not to be supported by the evidence and discovered that a Very Low Carbohydrate Ketogenic Diet (VLCKD) might be a solution. If you have come straight to this post, I recommend you read the previous three posts first. So if the weight of evidence supports lowering our carbohydrate intake, is this going to harm our health and particularly, will it be harmful to undertake a VLCKD? Our starting point is the very study that the DAA cited to suggest that ladies with PCOS (who reduced their carbohydrates) were harming their health and chances of fertility. We note that these ladies only cut their carbohydrates by 5% and this appears to be cut by reducing sugar mostly. Did that harm their health? Well, we need to remember that PCOS is a serious disease that can often progress to diabetes. Sufferers may have worse cardiovascular health. The case-control study cited by the DAA shows us something kind of interesting. Despite the PCOS ladies all being sick, there was no significant difference in their health markers except for some of those indicating PCOS! All of the following were not significantly different from the healthy ladies: Fasting glucose, Fasting insulin, HOMA2-β, HOMA2-IS, HOMA2-IR, All Cardiovascular risk factors, SHBG, DHEA-S and FSH. By that information, dropping carbohydrates by 5% and increasing saturated fat appears to have done these ladies little harm when compared to the control group. That is especially the case for cardiovascular risk. We need to be mindful however that a VLCKD cuts carbohydrates much more aggressively. We have the other studies cited by us that showed insulin resistance markers improved, cardiovascular markers remained insignificantly different or improved, and the ladies lost weight. It does not appear that any of these studies support that lowering carbohydrates has worsened the health of study participants. This was so even when they were following a VLCKD. If you google “dangers of a ketogenic diet” you may see some issues raised. Should you consider these? Yes, of course, you should. Will all of these apply to you? Almost certainly not. For example, DKA is almost exclusively a concern for type 1 diabetics. Even then, you are reducing your blood sugar, and this is a condition of high blood sugar. Should you be concerned that you may have low blood sugar for example? Of course you are as one of the effects you are seeking is precisely this. The health effects of too high blood sugar are well documented. However, if you are on blood glucose-lowering medicine this may be of concern as some types of medicine (although not metformin which you are likely to be on for PCOS) could cause hypoglycemia (dangerously low blood sugar). If you are on any medications, obviously you need to discuss this with your doctor and be mindful that this is a therapeutic diet and your medication may need adjustment. For example, if you were on a diet to reduce your blood pressure and it was effective, you would need to adjust medication you were using to lower blood pressure. The Diet Doctor website has an extensive array of information about low carb and keto diets and particularly some of the concerns that there may be. I won’t cover those here on my blog because I don’t want to reinvent the wheel. 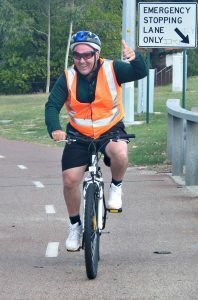 Is a VLCKD safer than cycling? Now if I were to recommend to you to start cycling for your health and give you public advice to do so, I would need to run through all the things that you should consider. You should respect other traffic, wear a helmet, pump up your tyres to the right pressure, ring your bell to warn pedestrians, wear bright clothing, eye protection from dust and glare, adequate footwear, etc. Does that mean you should not try cycling for your health? I think you probably get the idea. I have seen “authorities” (including the DAA) warn that a VLCKD is dangerous because it has not been tested in the long-term. The implication is that you should not try it in the short term for this reason. I find that logic a little strange. It is important to realise that we are not committing to this diet long-term. A VLCKD is something that we are potentially going to to try for three to six months- about the length of those studies. We could expect that our results may not be too different from the study participants; but if they are, then like all trials we can re-assess from what we have learned. So to be clear the approach is to do the N=1 trial on ourselves. If a medical professional monitors us, we will have N=1 results from relevant tests. Assuming that our health improves, we can continue. If there are adverse changes, then we can reassess and look for other reasons why our outcome differed from that expected. Experts do all the experiments on hundreds or thousands of people. The experts write it up. It accepted by a reputable journal. The paper accepted by peers and published. It further accepted by the research community. Acceptance may take a very long time- particularly if it is against orthodoxy. The study converted into treatment protocols. Bureaucrats anoint the treatment protocol as effective and safe. Clinicians accept the treatment protocol as effective and safe. Your doctor now advise you to make the change to stop eating some foods. You are looking at a process that takes multiple years or decades. We will probably come back to this in a later post. Now if that is a new drug with potentially toxic side effects I would, in almost all circumstances, want that process to be robust. If you are trying to conceive, your biological clock is running down. You are probably suffering from side effects and symptoms that are unpleasant. An unresolved condition like PCOS is likely to progress to more serious health concerns. We are talking about reducing, avoiding or eliminating certain foods from our diet. We aren’t looking to take an experimental cancer drug! What is a significant and risky change for the ‘system’ to recommend to the general population for N=millions is a different decision for N=1. Is it safe to for millions of people to try a VLCKD? If it were cycling and I recommended it, some people would die as a result of that recommendation. Is it safe for you and is the risk worth the potential benefit? I think we can both agree that you are capable of making that decision. It is your decision. Do you take it? Assuming that you do, then next we will look at some of the practicalities of doing your trial.